Sympatico Syncopation at its best! 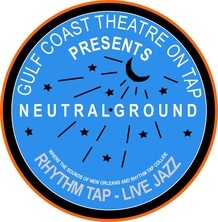 Celebrate the music of New Orleans, and get JAZZED to the tapping toes and swinging sounds of Gulf Coast Theatre on Tap and their Live Jazz Ensemble! If you love New Orleans music, high-octane entertainment, and celebrating the Crescent City; NEUTRAL GROUND will have you shuffling all the way to Mardi Gras! You can catch us on the RHYTHM side!